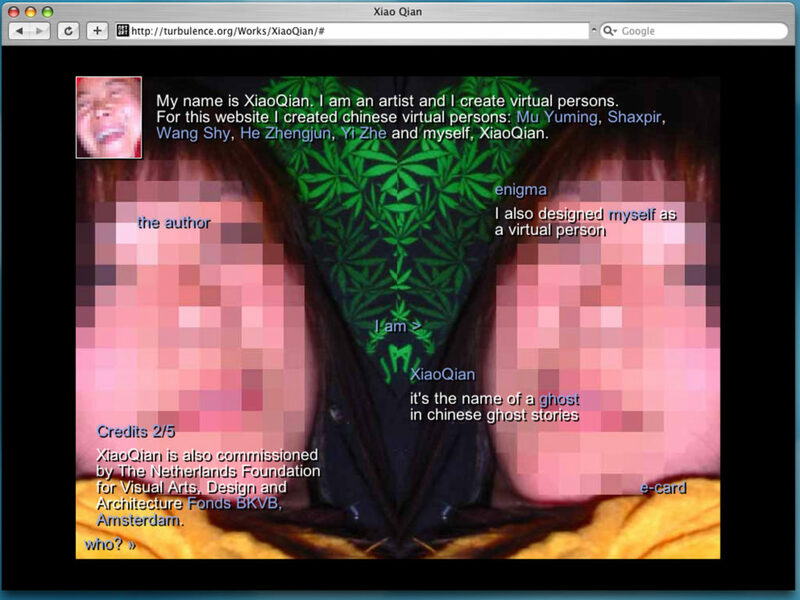 XiaoQian is the personal website of a young net artist who specializes in the creation of virtual personas and who lives in Kunming, a city in the South-East of China, in the province of Yunnan. The work is a docu-fiction account of what Neddam had experienced while in residency in Kunming. This city, which is predominantly inhabited by various ethnic minorities, contrasted greatly from Neddam’s experience of cosmopolitan Shanghai, where she had recently been a guest professor at the University of Fine Arts. Striking to Neddam in Kunming was how this locale persisted in its customary and simple ways, and yet, was simultaneously highly connected. In the Yunnan province traditional dress attire, modes of farming and exchange were seen to co-exist with the fact that almost everyone seemed to have a cell-phone, with easy access to wifi, and with a young generation deeply influenced by, and partaking in, hip-hop culture. 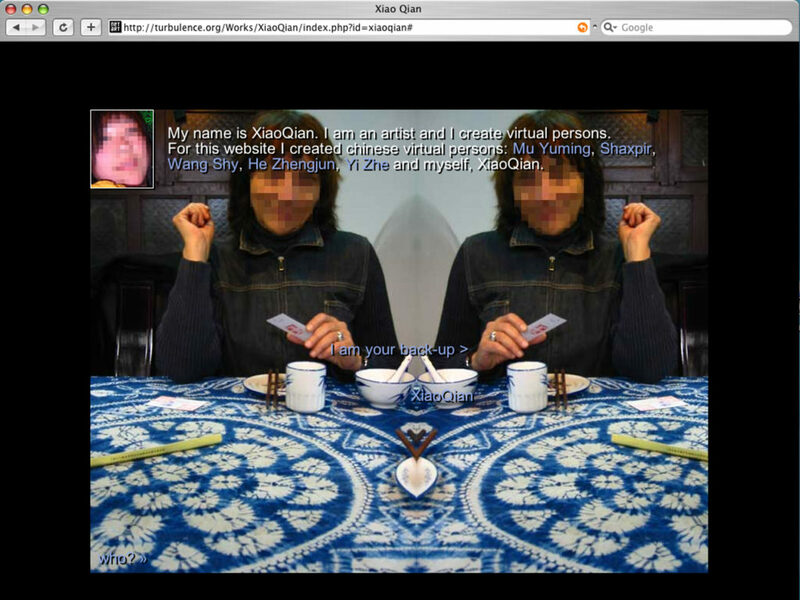 The form embodied by Xiao Qian extends Neddam’s belief that individual identity is a myth and that the internet is predisposed to the investigation of forms of shared identity constructs. 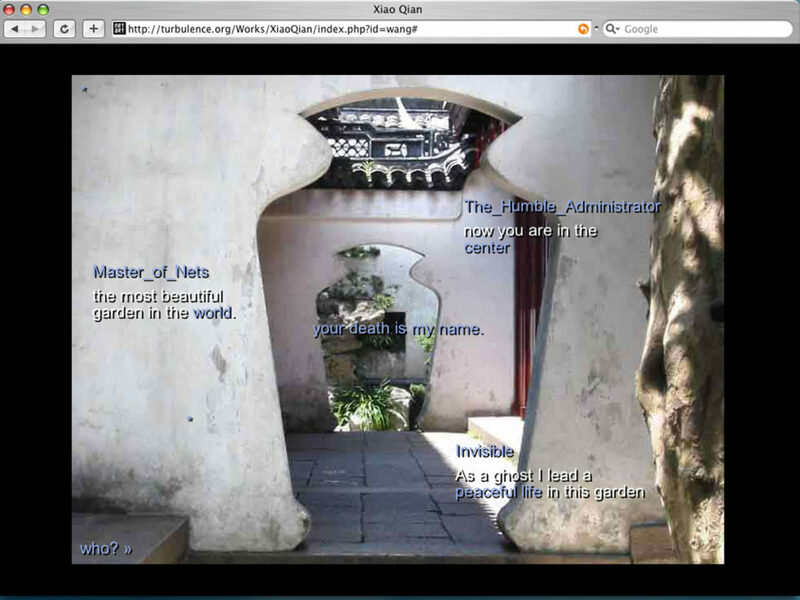 On this site, the virtual personas of Mu Yunming, Shaxpir, Wang Shy, He Zhengjun, and Yi Zhe are presented as the creations of Xiao Qian. And yet, the photographs of these figures in their homes, working places, and in respective social contexts take on a documentary nature, giving the visitor the sense that the painter, aspiring hip-hop star, net master, administrator, and calligrapher probably do actually exist. 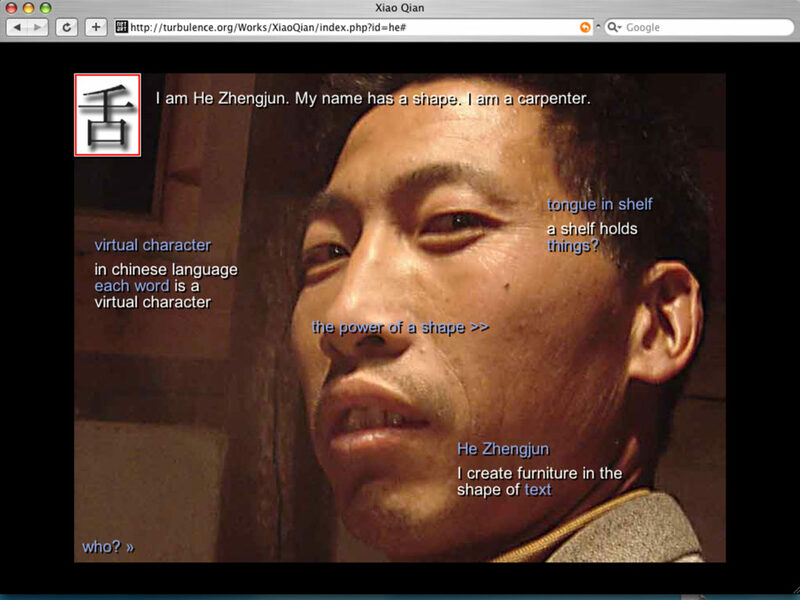 The formal combination of text and image used for Xiao Qian reflects a preoccupation with hypertextuality. The simple use of various colors of text and the placing of words in bits and pieces spread out within the frame, produce a navigation grammar that offers various directions one can take to gather information, producing non-linear narratives and forms of story telling. The piece thereby highlights standard navigation protocols and habits that still persist despite the possibilities offered by hypertextuality.